Creating a 3D model is the first and most important design step. Our industry certified engineers use various modeling software such as SolidWorks and Autodesk to transform ideas and sketches to 3D models. 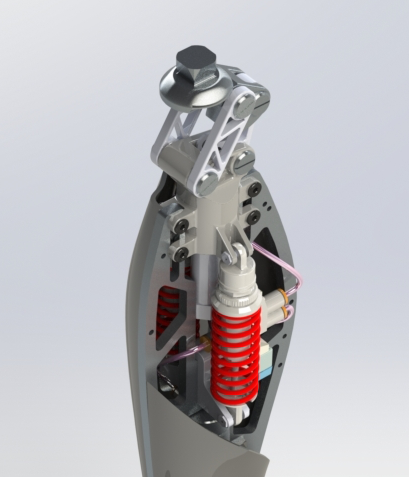 Using Computer Aided Design (CAD) from the start allows us to model, virtually test, and validate concepts and complex assemblies. By modeling all solutions, elements can be changed before proceeding to prototyping, saving you valuable time and money. During this step, we note your design requirements and draft representations which are later used as guidelines for the 3D models. To promote collaboration, we maintain a direct line of communication with you. With the idea on paper, our CAD experts model each component to specification in a 3D environment. Leveraging our expertise allows us to design with cost-effective manufacturing in mind. Developing photorealistic renders gives you the ability to see your idea, perform market testing, or pursue investment funding for the invention. The renders provide a proof-of-concept for the design, ensuring that each element meets your expectations. Once the design and virtual testing are completed, all models are updated and technical drawings are created. These drawings provide the blueprints for mass production by us or your selected manufacturer. The drawings also serve as effective references for patent applications.